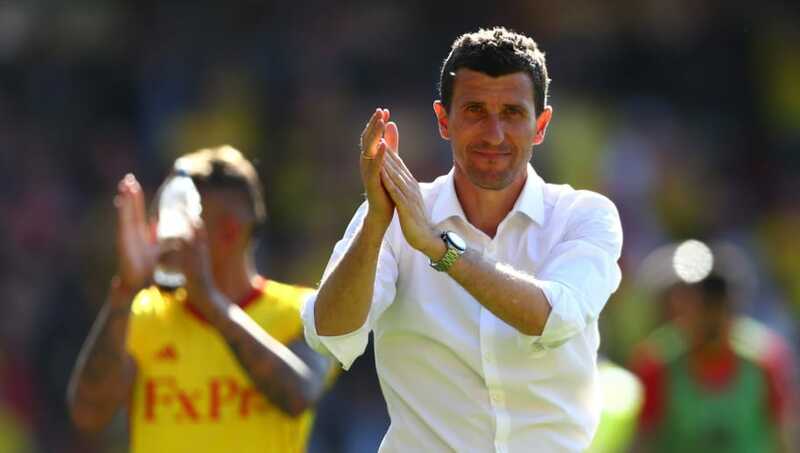 ​Watford are ready to offer a new long-term contract to manager Javi Gracia after the Hornets' perfect start to the new Premier League season. Gracia's team head into the first international break of the campaign with a 100 per cent record from four games, having come from behind to beat Tottenham at Vicarage Road on Sunday. The former Malaga boss replaced Marco Silva in January and guided ​Watford to safety, but they won only one of their last nine Premier League matches and Gracia was among the favourites to be the first top flight manager sacked this season. But victories over Brighton, Burnley, Crystal Palace and Spurs have changed the mood around the club and the ​Daily Mail reports that Watford are keen to extend Gracia's contract beyond its current expiration date next summer. Watford bosses are desperate to avoid a repeat of last season, when they also got off to a flying start before manager Marco Silva was approached by Everton. Silva remained in charge at Vicarage Road after the Hornets rejected the approach, but his head had clearly been turned by the Toffees and Watford's form dipped dramatically, leading to the manager's eventual sacking. Gracia may also attract admirers if Watford's form continues, so tying him down to a new contract now would be ideal. Watford face a tough task to maintain their perfect start after the international break, as they face Manchester United and Arsenal in two of their next three matches.